One of the hardest music biz markets to crack is the singer-songwriter gig. It's difficult for a number of reasons-singer-songwriters are of necessity limited by instrumentation, and there's been so much repetition in this narrow field that it's difficult to sound fresh. Often, singer-songwriters have to find a balance between gloomy introspection (for depth) and poppy melodies (for light relief). 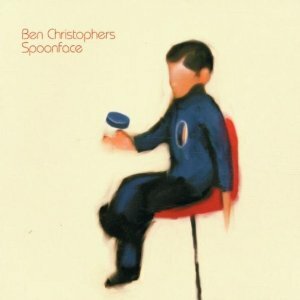 For most of "Spoonface", his recent solo outing, Ben Christophers gets this balance just right. It's a rare enough compliment to pay these days but Christopher's voice really is unique - he's more nascent than either of the Buckleys, more pumped up than Elliot Smith, and his falsetto fairly glides. His song writing is slightly less assured - "Transatlantic shooting stars" is a sore thumb, and sounds alarmingly adjacent to Beck's "New Pollution". The track is so out of tone with almost everything else on the album that it smacks of that old Tom Petty line, "the A&R man said I don't hear a single". At other times Christophers betrays a lack of confidence when he dresses up the songs unduly in techno-lite gloss. This technique may work for David Gray but in Christophers' case it distracts and, ultimately, detracts form the quality of the songs. "Leaving my sorrow behind" - Spoonface's opener - is a beefy workout but the album's outstanding moments occur when Christophers strips the music down to basics: "Fall into view" is gossamer soft but on Spoonface's closing track, "Opium Willows", Christophers really wrenches at the heartstrings. It is as tender a piece of music recorded this year. 'Spoonface' is not perfect but it marks Christophers as an original voice.